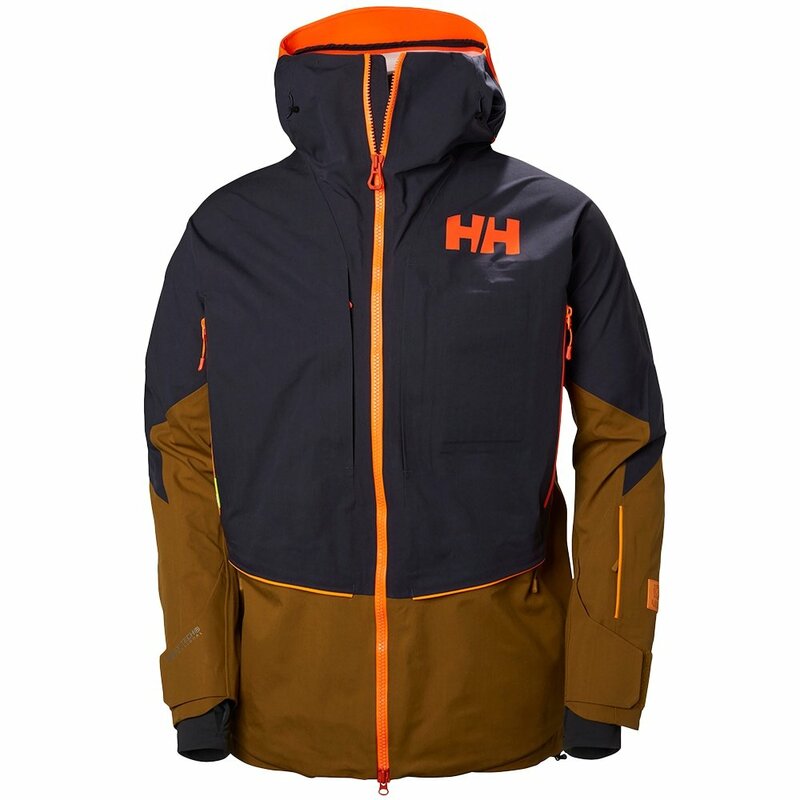 The Helly Hansen Elevation Shell Ski Jacket is designed to encourage high elevation performance for freeride adventurers. Features on this men's ski jacket are designed to make it easier for you to get to the most remote areas of the mountain this winter, like smartly placed backpack-friendly pockets and a separate LifePocket™, designed to keep your phone or camera charged as long as possible. Of course, a good backcountry jacket has to protect you above all else, so this backcountry jacket is made of a three-layer totally waterproof and breathable fabric. And in case you do take a left when you meant to take a right, the Elevation Shell Jacket has built-in Recco® technology and highly reflective details to make you easier to find in white-out conditions. This jacket is made with the highest levels of waterproofing available, for long-lasting activities in extremely wet and harsh conditions. Features designed to keep you warm include an extra-long length, an H2Flow™ smart ventilation system, and large, easy-grab adjustments. A built-in Recco® beacon is always on while the specialty media pocket is designed to keep batteries running as long as possible in cold conditions.